The K6 is a standardised design made of cast iron, painted red overall with long horizontal glazing in the door and sides and with the crowns situated on the top panels being applied not perforated. There are rectangular white display signs, reading TELEPHONE, beneath the shallow-curved roof. 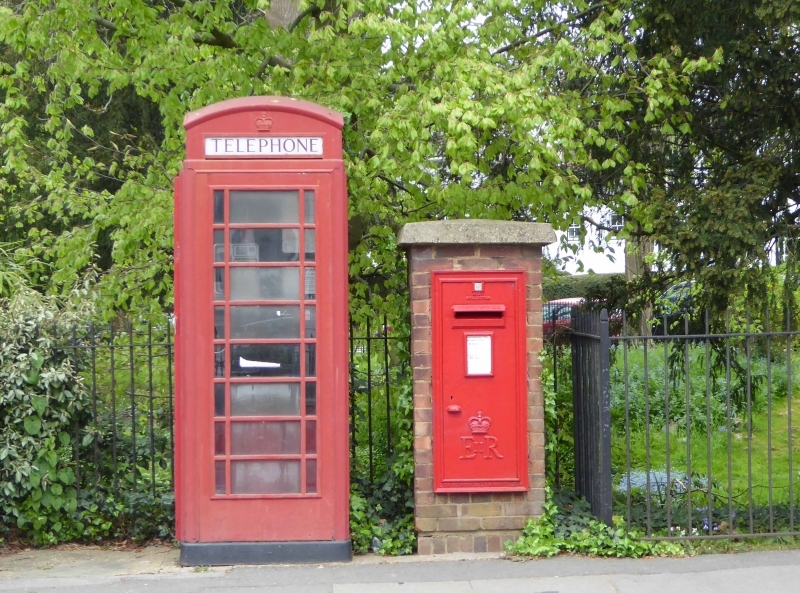 The K6 was designed by Sir Giles Gilbert Scott in 1935 for the General Post Office, on the occasion of King George V's Silver Jubilee. Sir Giles Gilbert Scott (1880-1960) was one of the most important of modern British architects. The K6 was a development from his earlier highly successful K2 telephone kiosk design of 1924, of neoclassical inspiration. The K6 was more streamlined aesthetically, more compact and more cost effective to mass produce. Well over 70,000 K6s were eventually produced and many still remain, continuing to be an iconic feature on Britain's streetscapes. Clarence Crescent and Clarence Road.